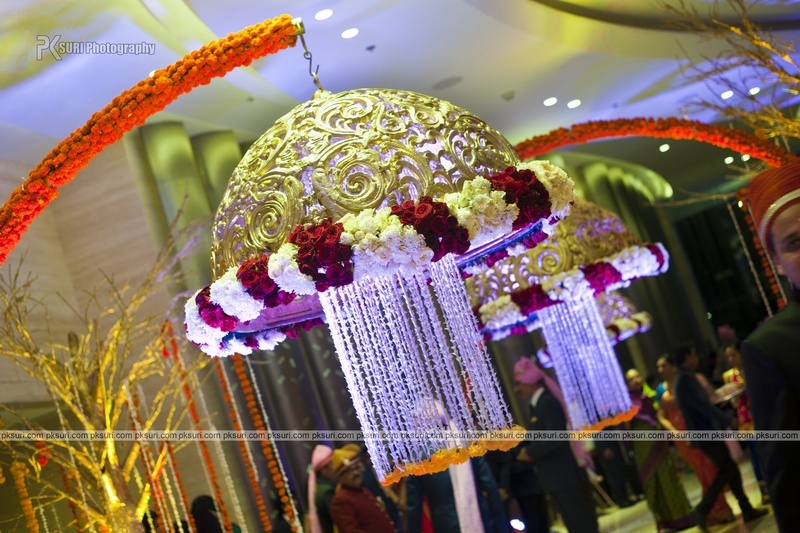 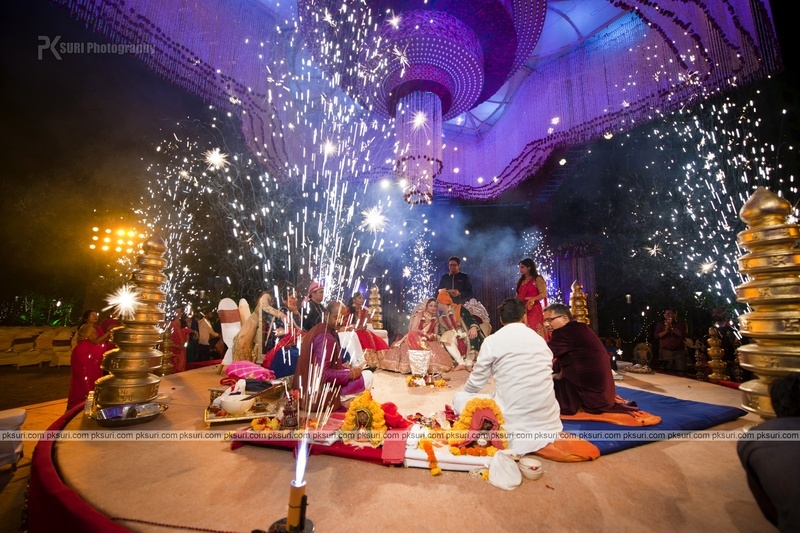 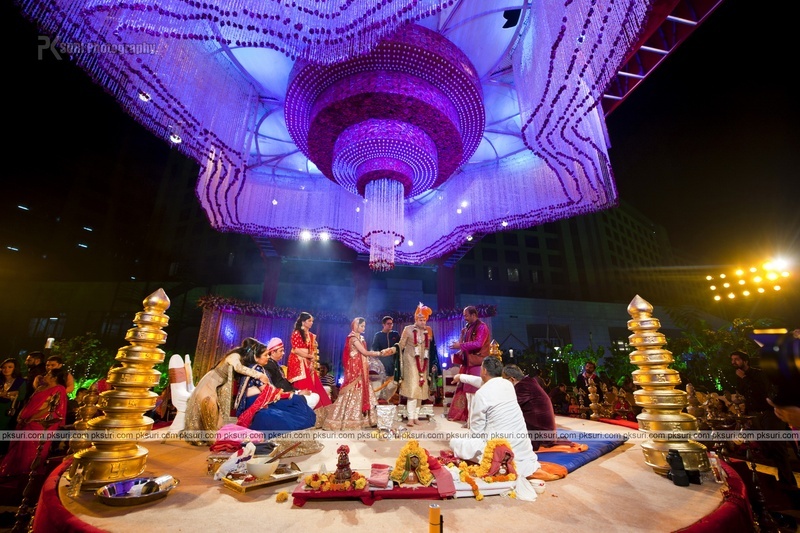 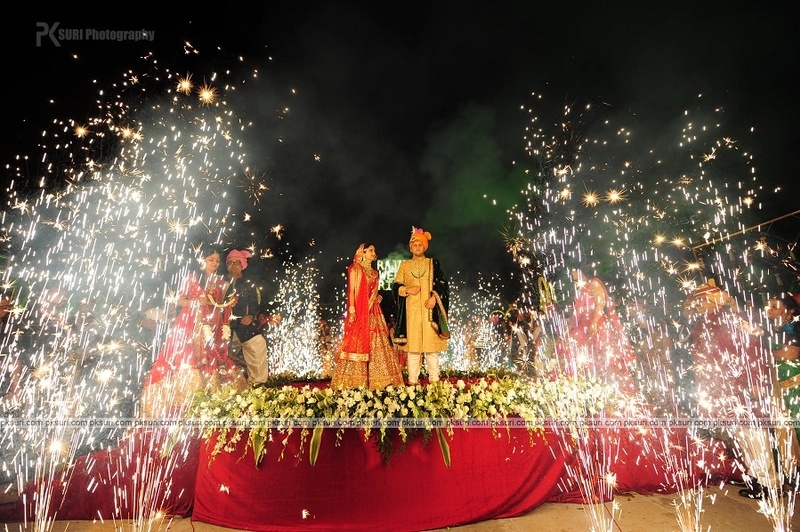 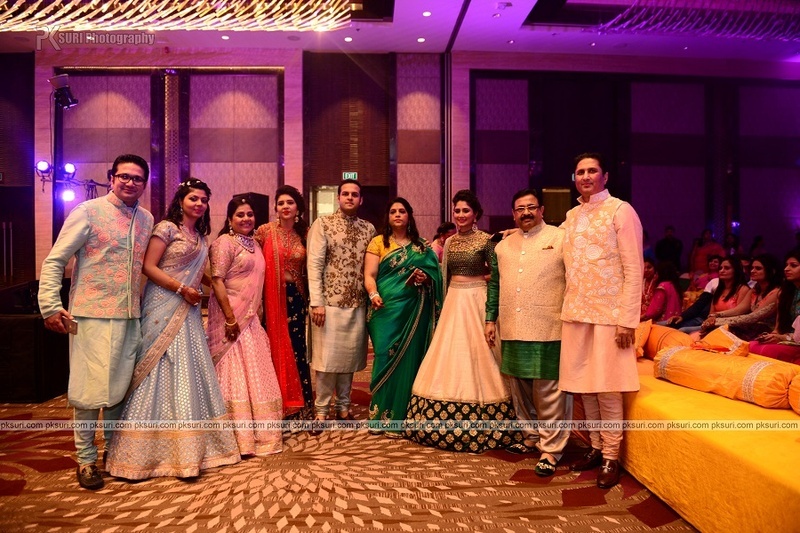 From floral walls and chandeliers at weddings, to Arabic mehndi designs on Indian brides – we spotted a new and upcoming trend at Indian weddings! 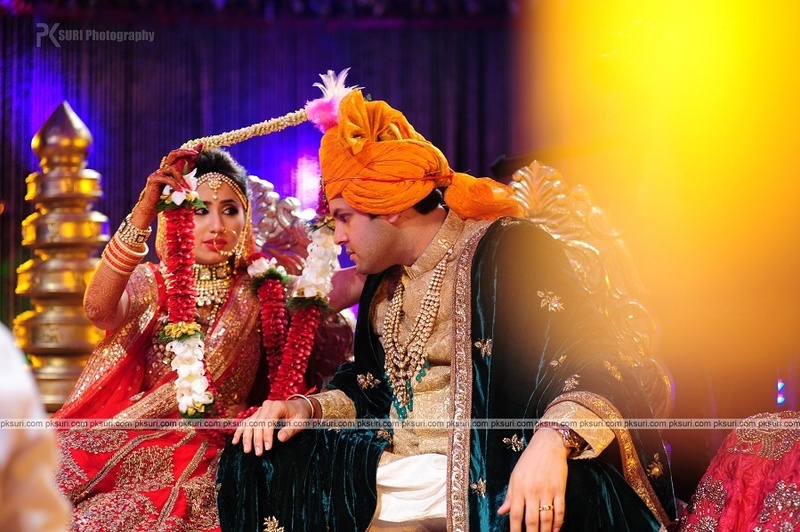 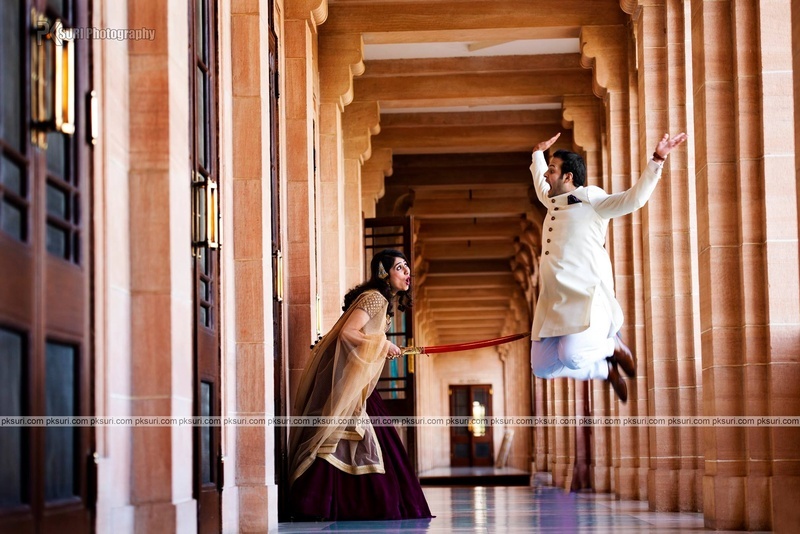 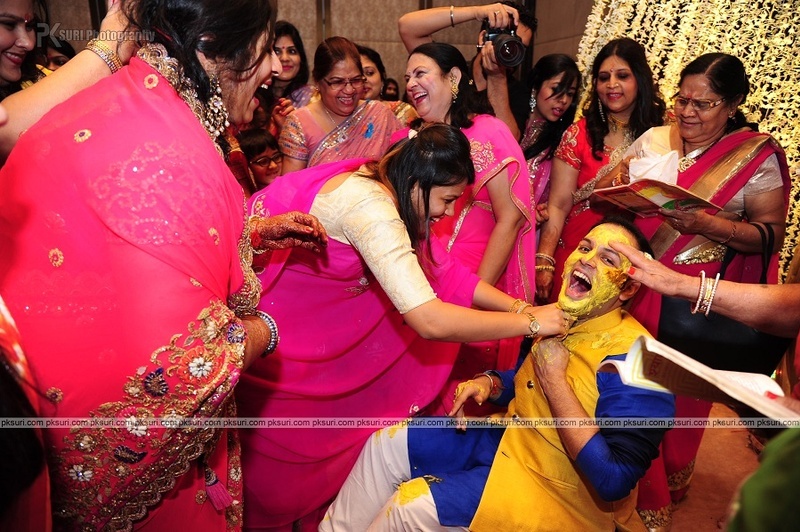 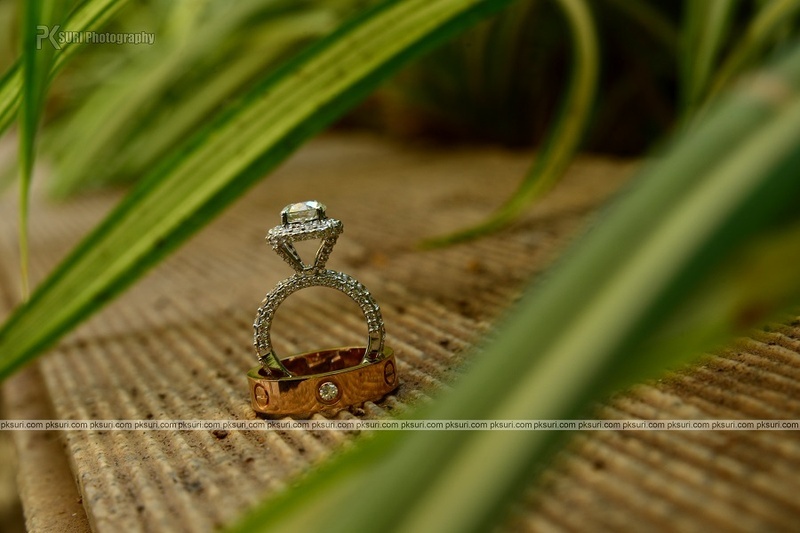 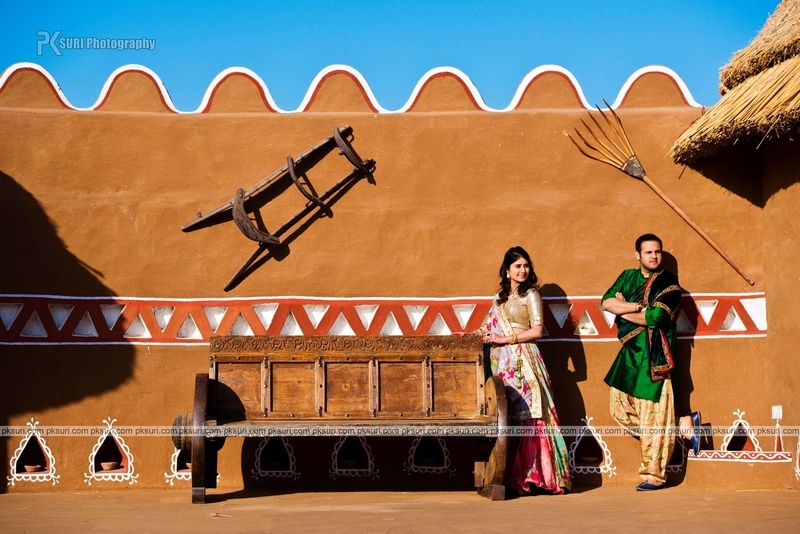 Destination pre wedding shoots are soon becoming popular at Indian weddings. 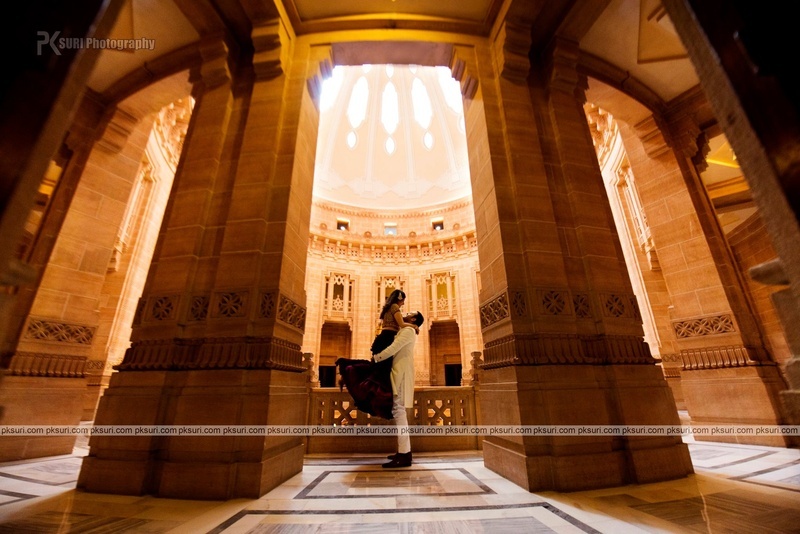 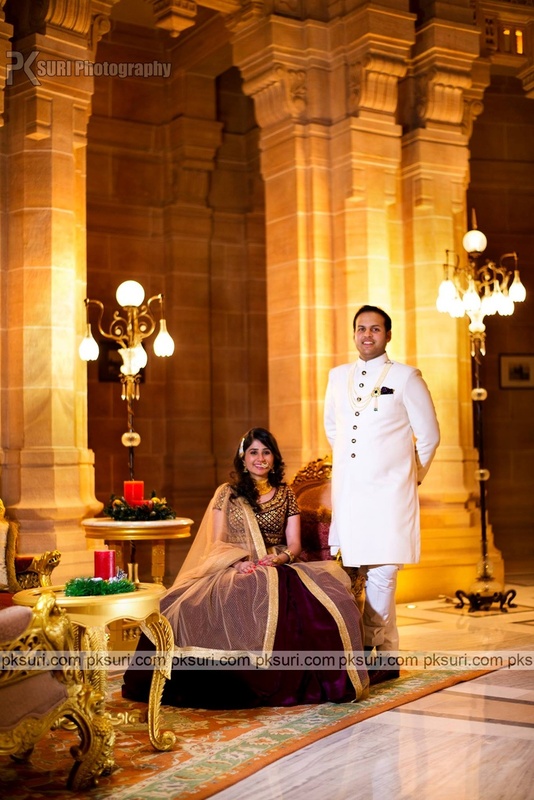 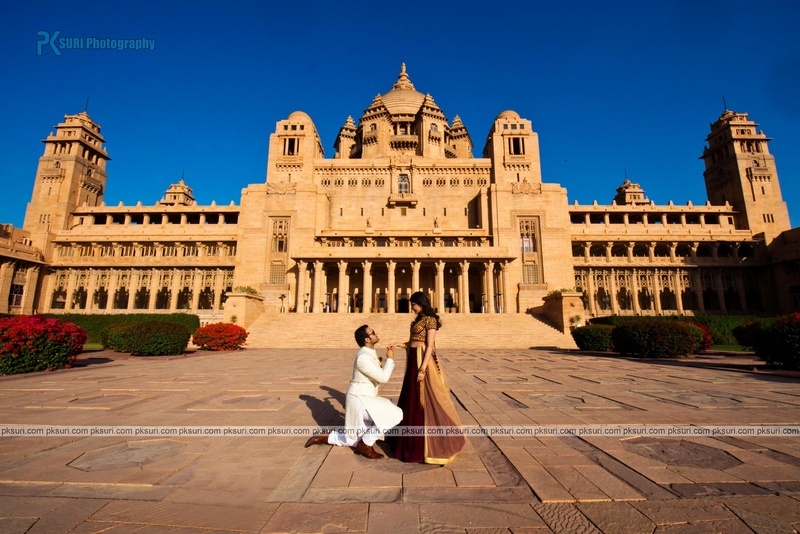 Rajat and Trisha along with their wedding photographer PK Suri opted to have a royal pre wedding shoot at Taj Umaid Bhavan Palace, Jodhpur. 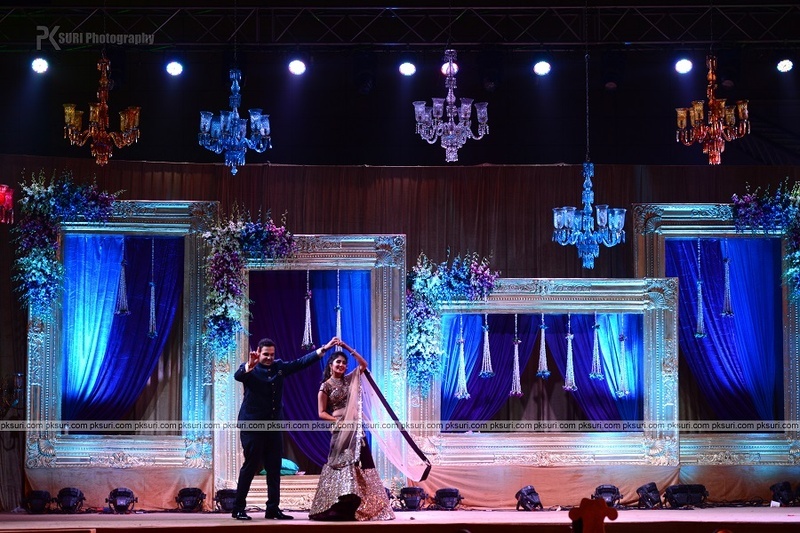 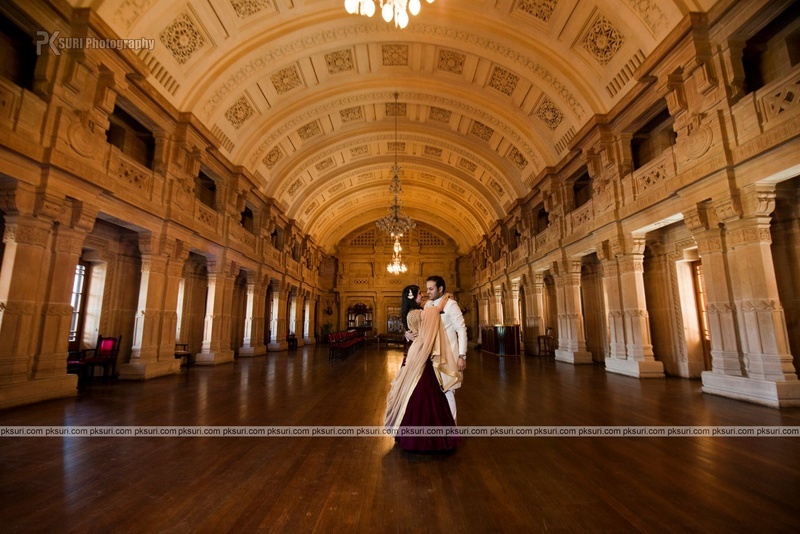 Between the spaces of the regal ballrooms to the intricately carved jharokas, their destination pre wedding shoot covered the space at Taj Umaid Bhavan Palace beautifully! 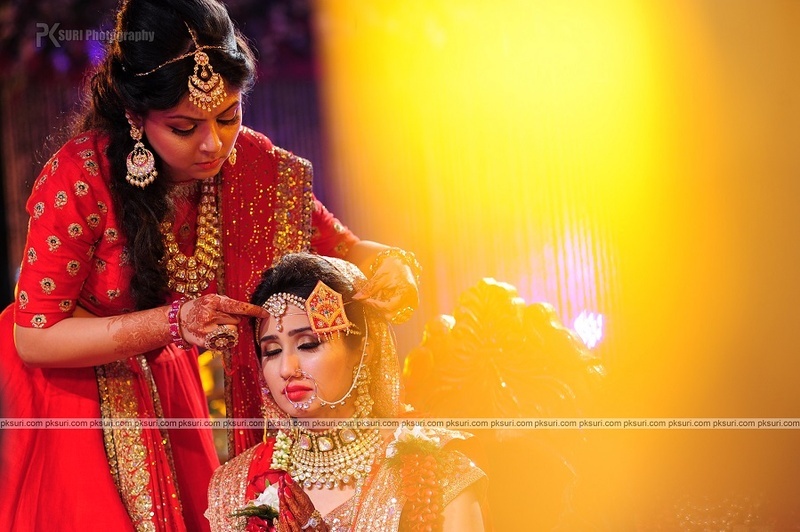 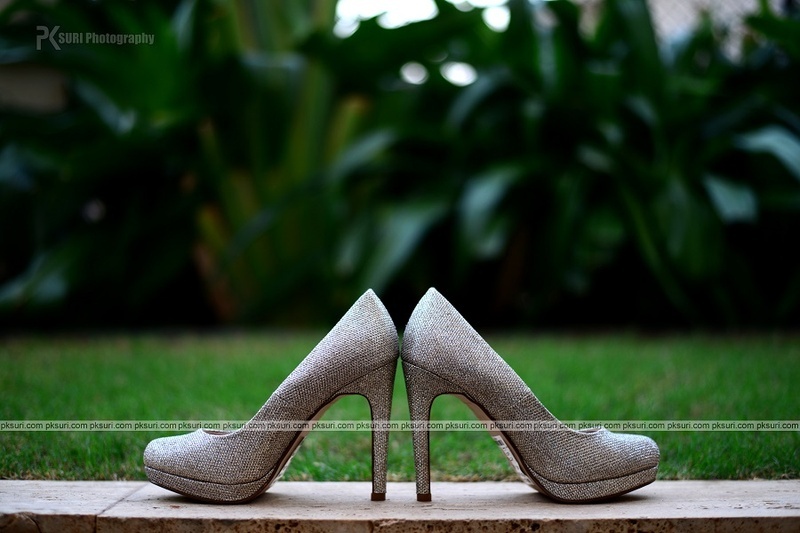 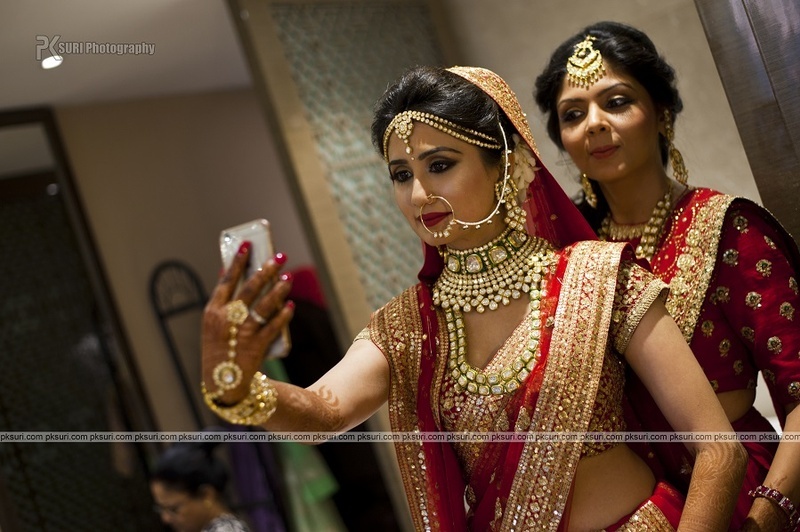 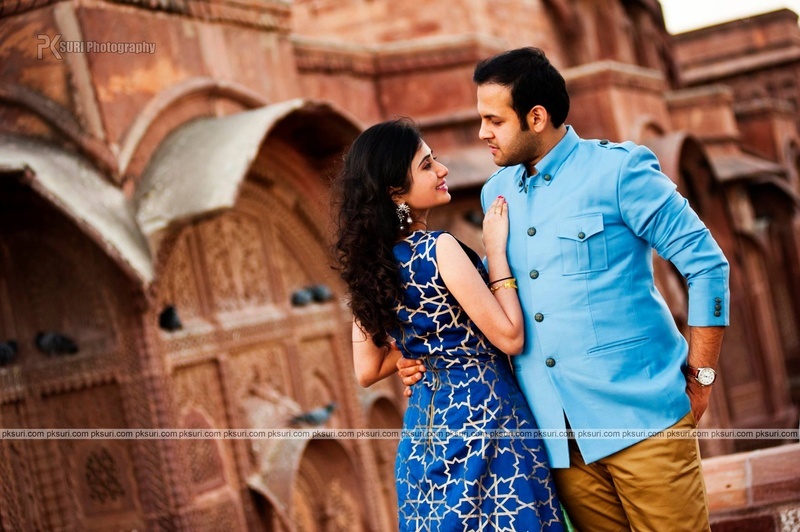 Multiple outfit changes by bride-to-be Trisha set the mood for each set of photographs taken. 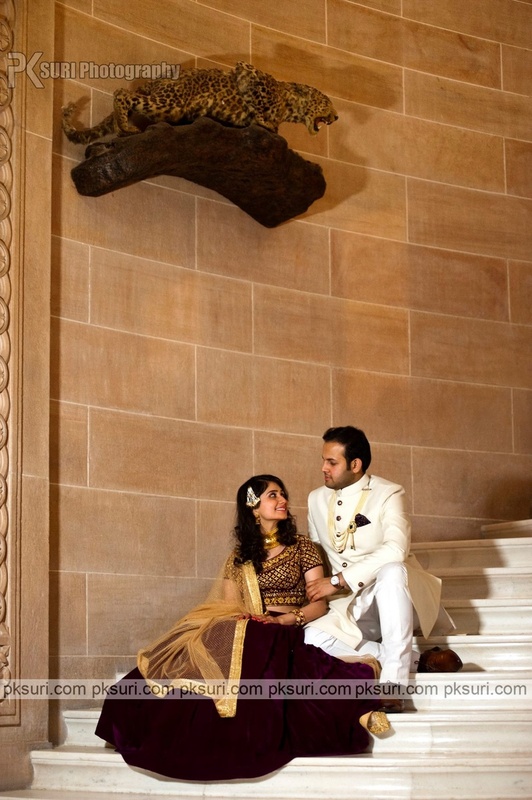 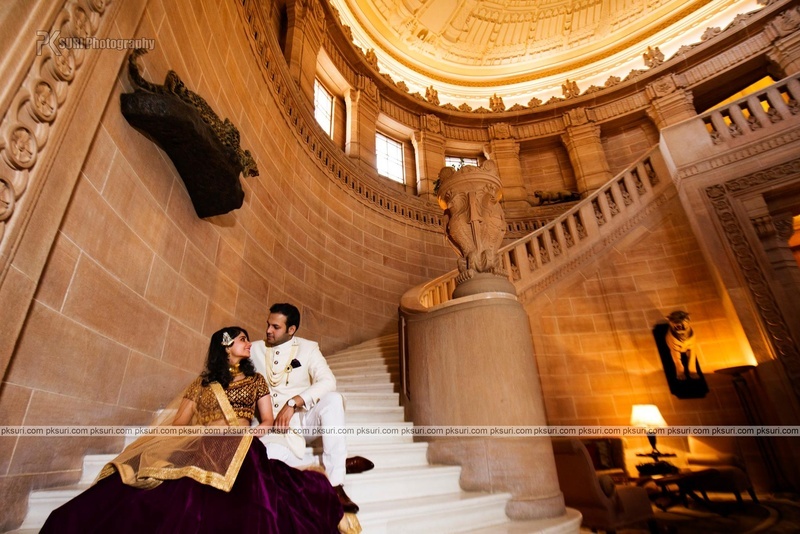 A sharp white sherwani and burgundy-gold lehenga combination worn by this soon-to-be bride and groom for the first part of their shoot held at picturesque locations within the palace walkways and grand staircases they then got into more young, contemporary clothes. 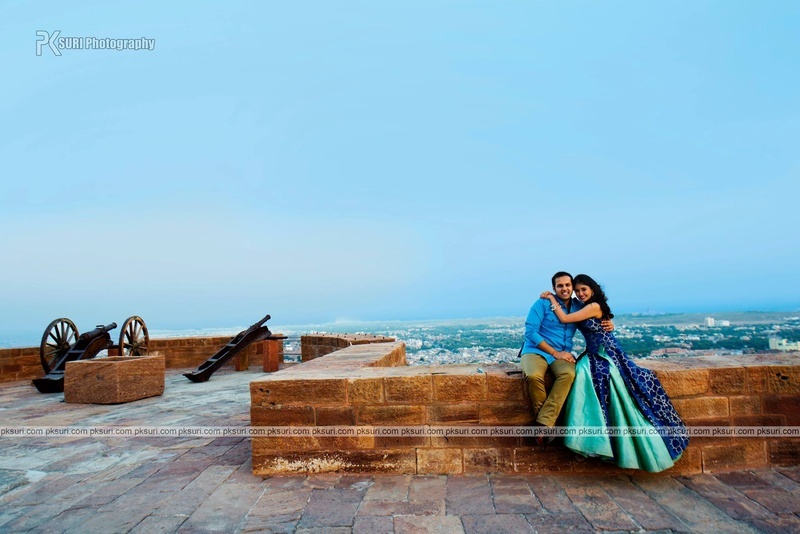 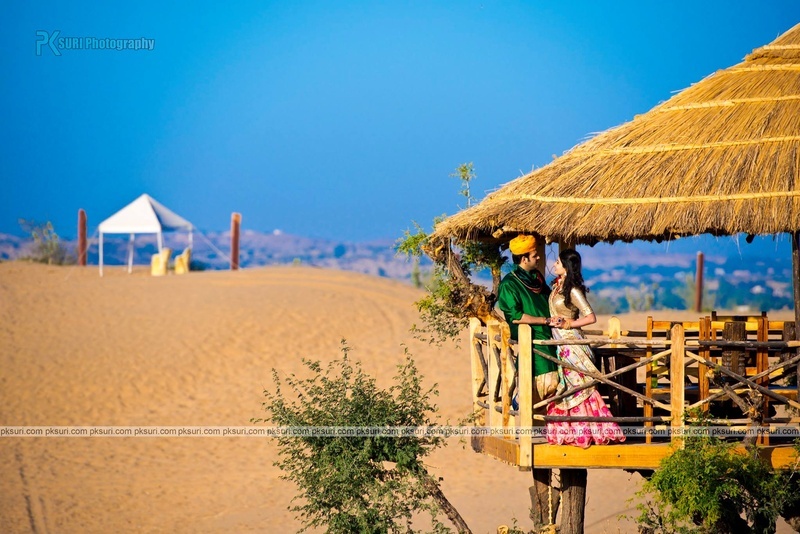 Bright blue slit kurtas and lehenga, fully skirted floral lehengas, emerald green kurtas and classy black jodhpuri jackets – Rajat and Trisha made stunning outfit choices for each part of their destination pre wedding shoot. 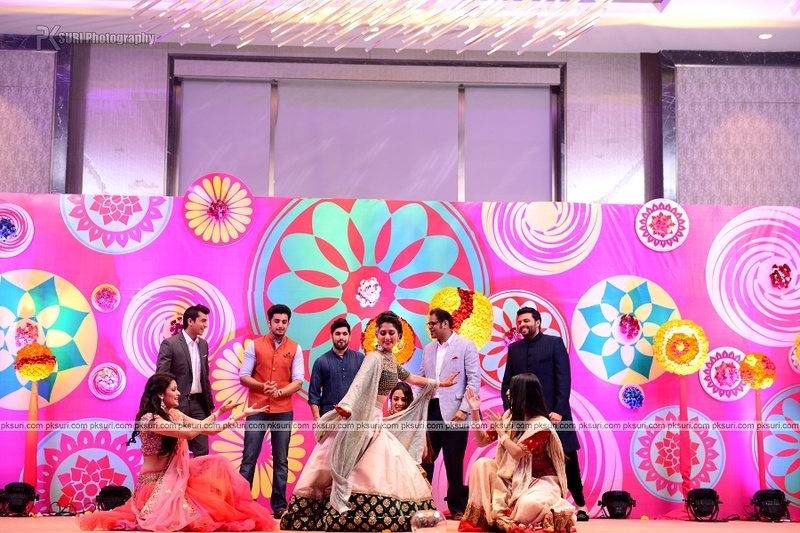 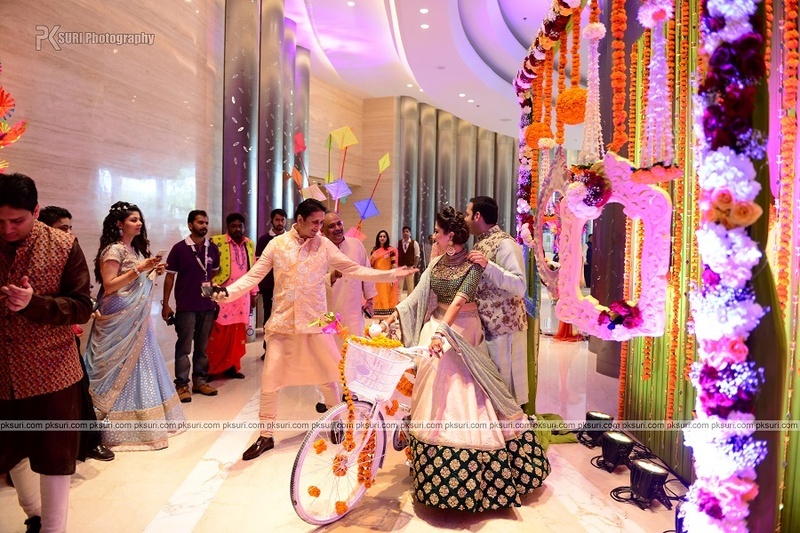 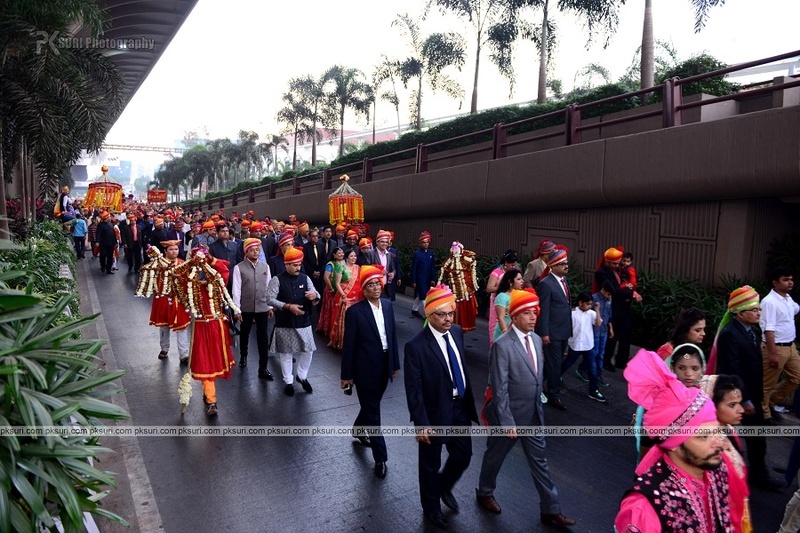 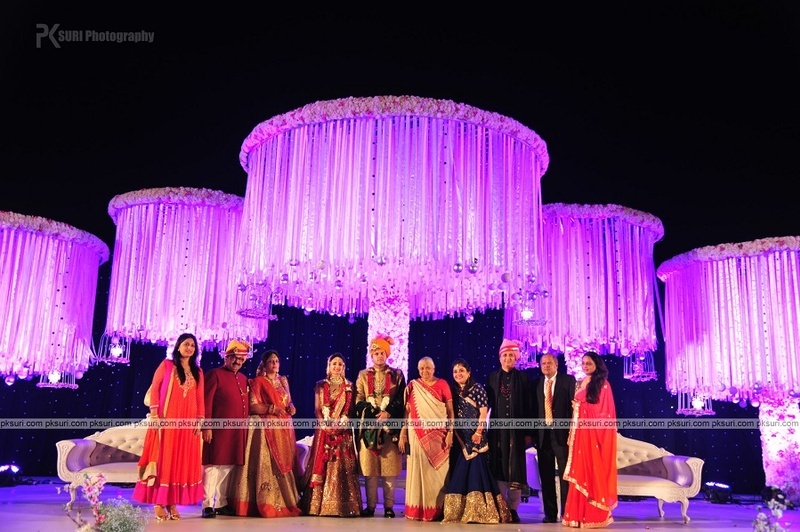 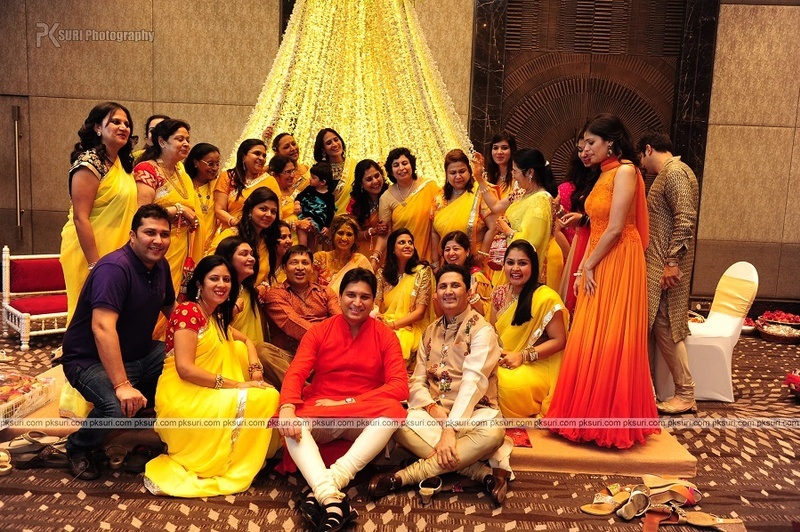 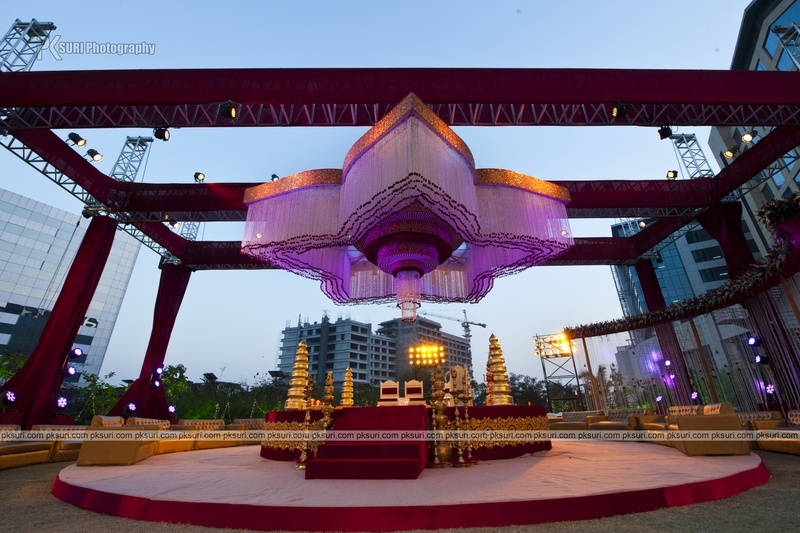 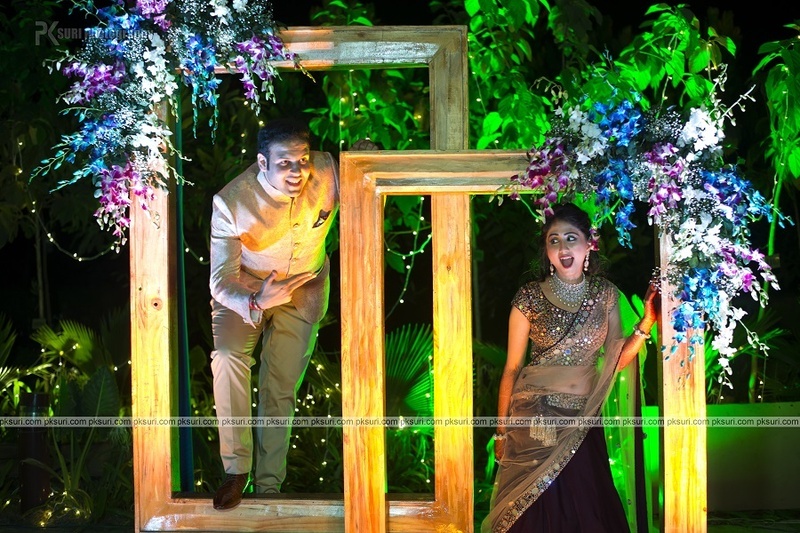 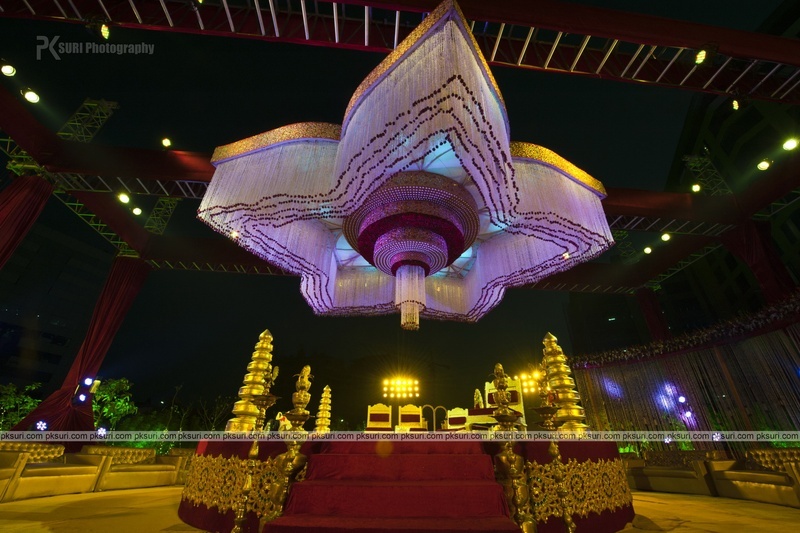 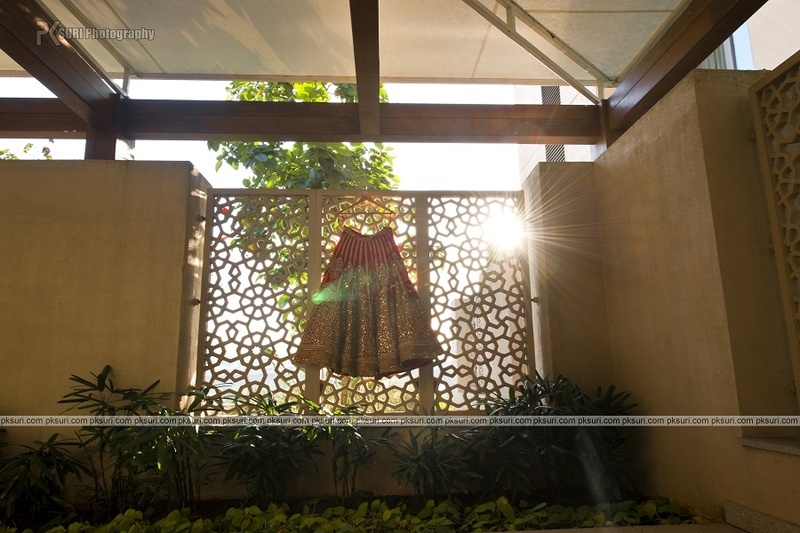 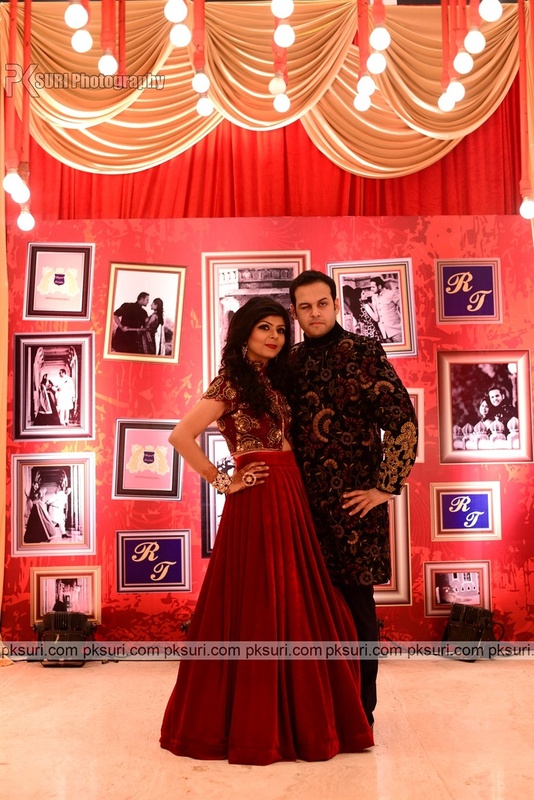 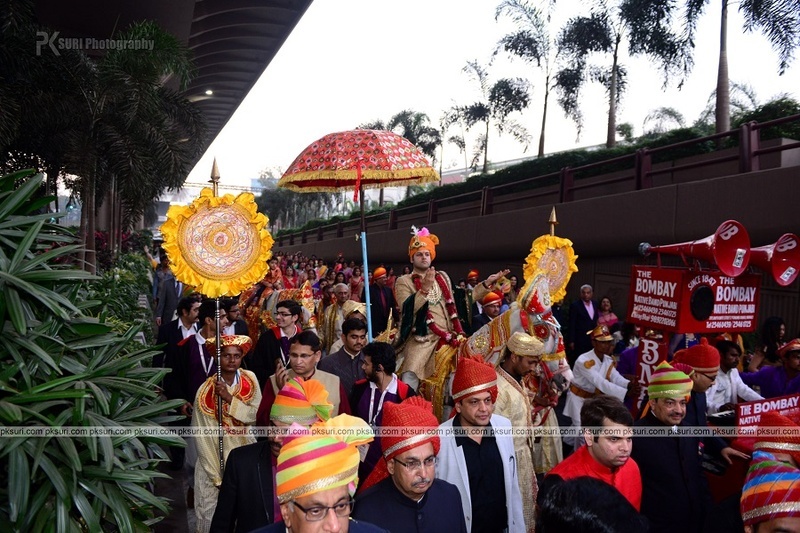 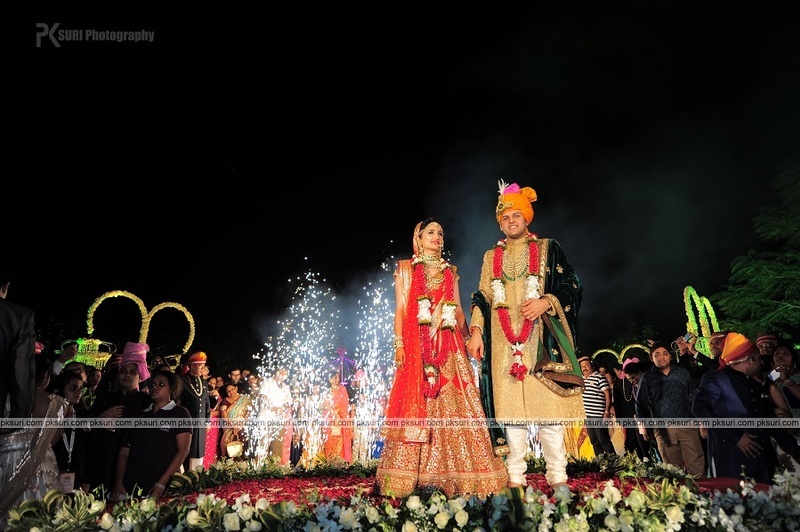 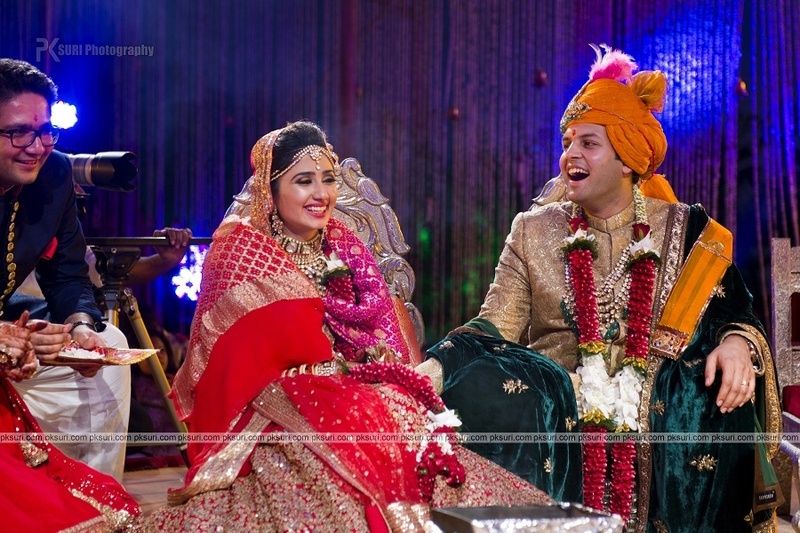 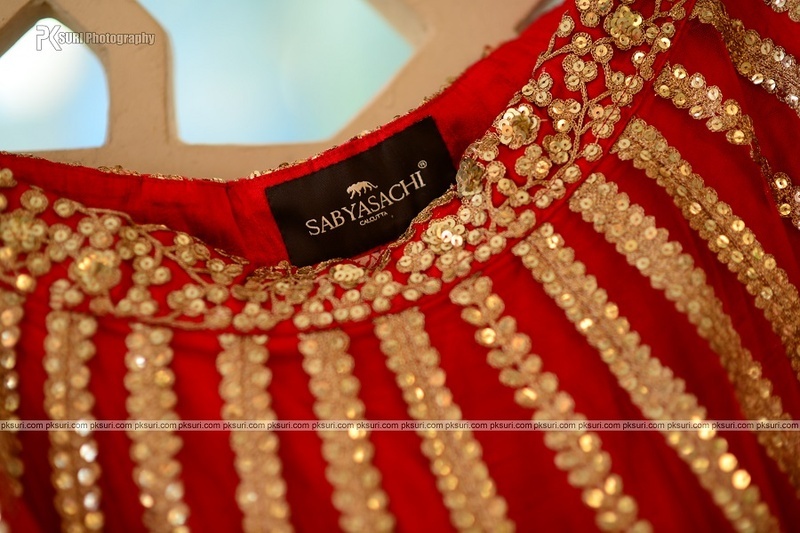 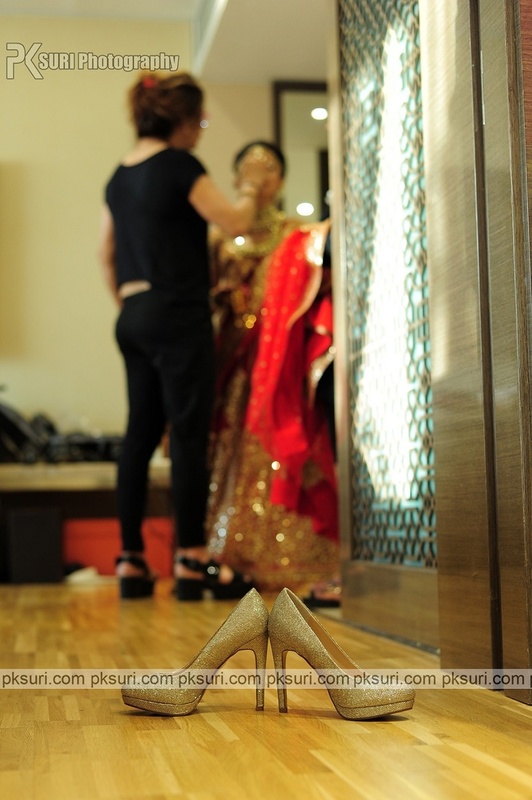 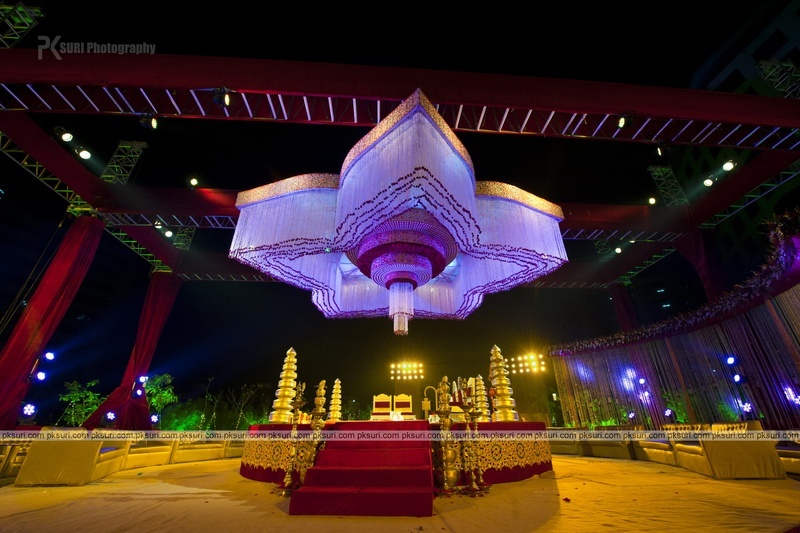 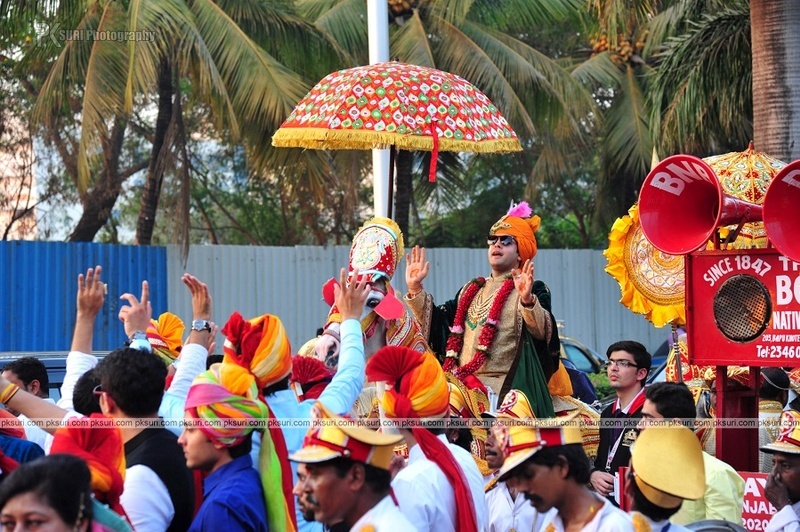 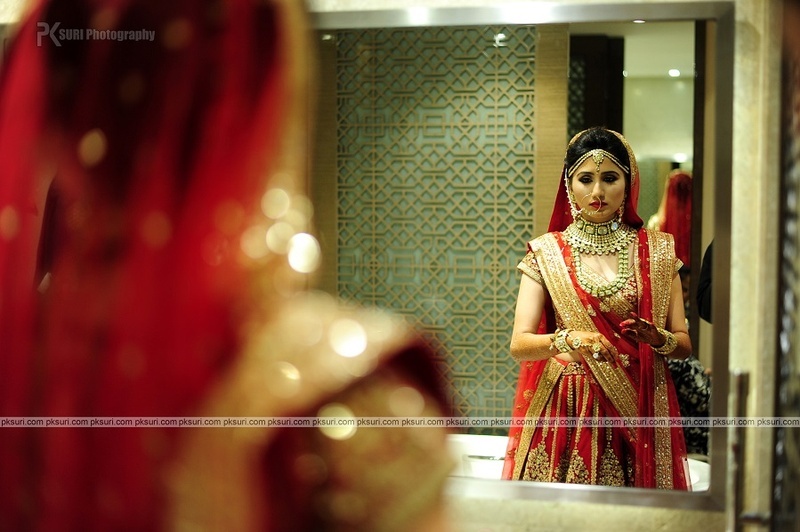 After their gorgeous wedding shoot, they had a extravagant wedding at The Qube Hotel, Andheri where this stunning bride donned a classic red and gold Sabysachi lehenga and took vows of love and togetherness with Rajat under larger than life mandap! 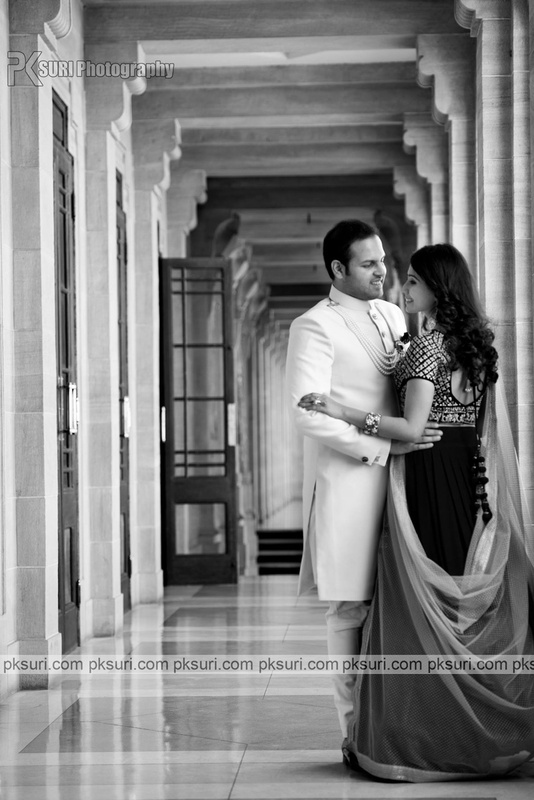 Scroll down to see their stunning wedding photos here! 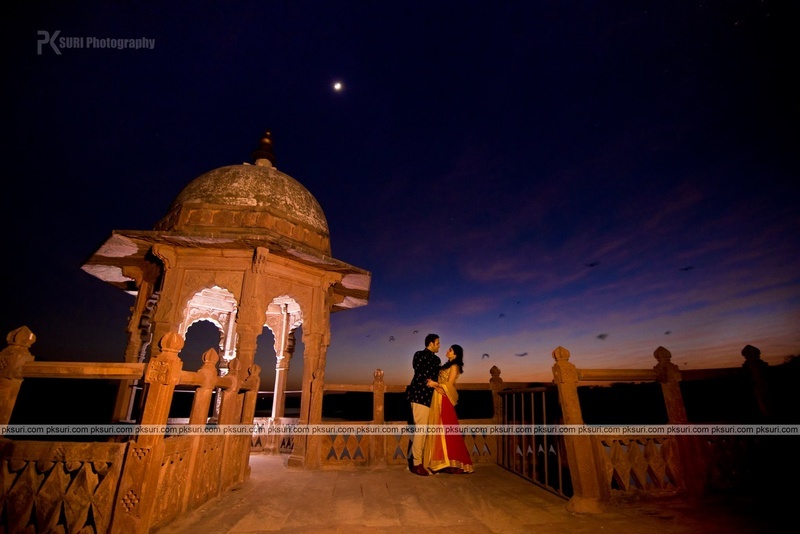 Romantic pre wedding photo shoot like this with a majestic venue and sunset! 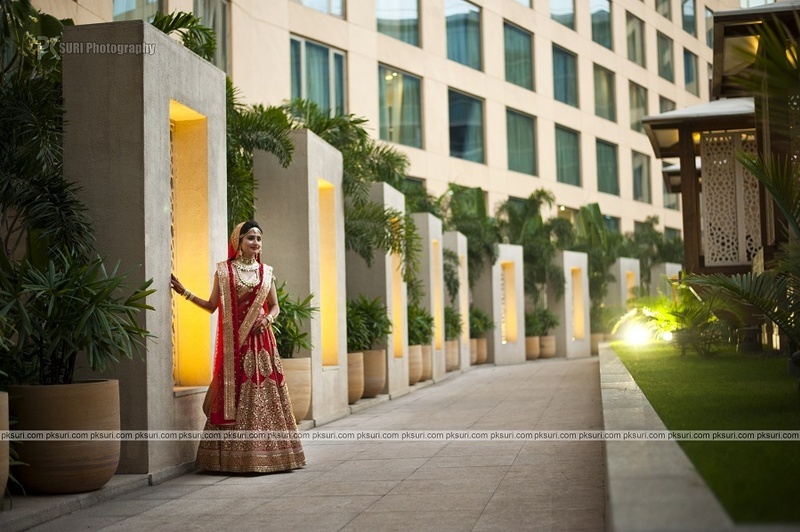 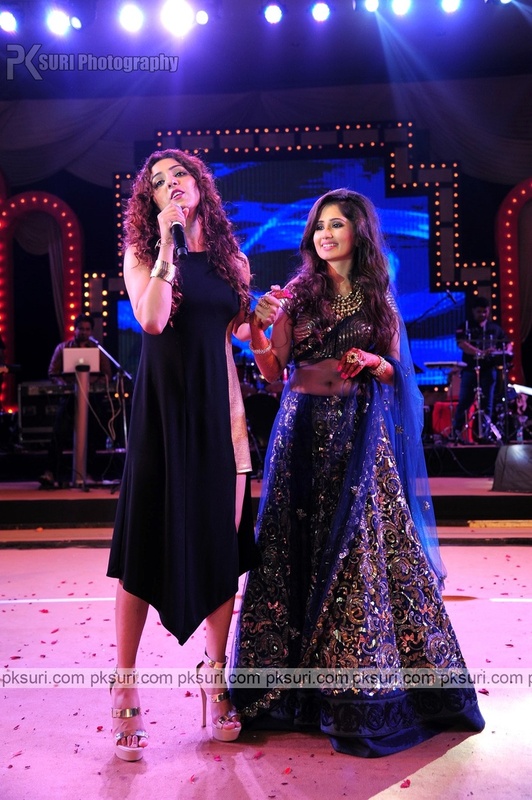 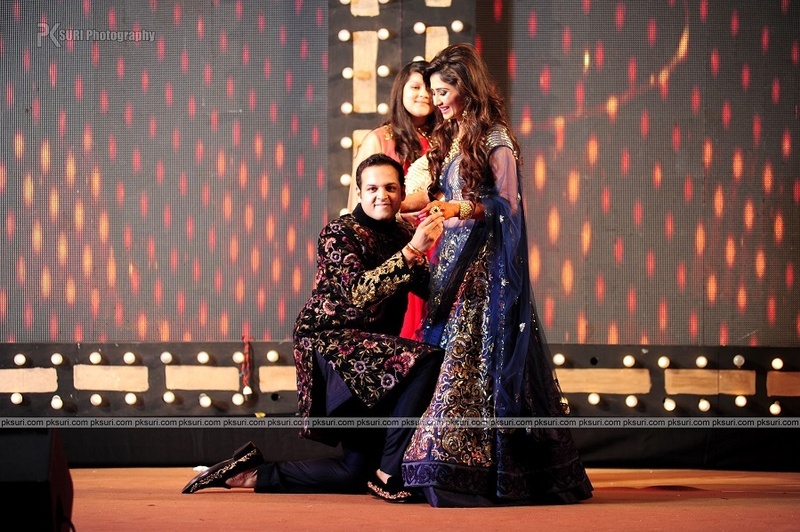 Blue and gold sangeet lehenga bedecked with zari motifs, loose curls and diamond jewellery.